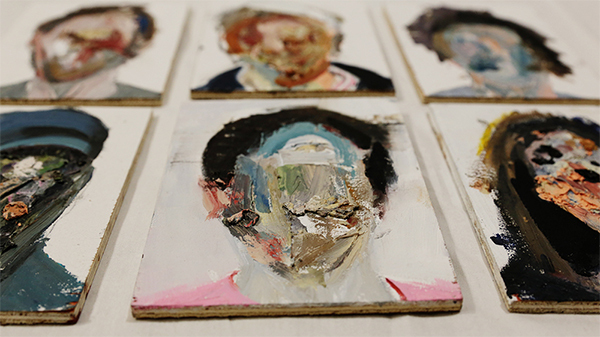 Brett Amory creates work that has been described as structurally and architecturally elegant, emotive and stark. His work is a documentation and an experiment that challenges viewers to either dissect or accept the smaller aspects of everyday life. To capture the true quintessence of his work, he landed on Vivant Books- a company that is, in every aspect of the word, art. Established in 2009 by mother and daughter duo, Mia and Becky Benenate, Vivant Books brings to the world a very exclusive breed of coffee table book. 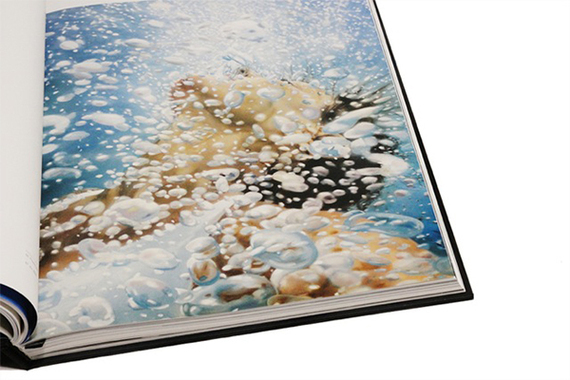 The company publishes contemporary fine art books that are saturated with high quality and value. Each book, available in both limited editions and deluxe artist editions, is an anthology that includes writings from art world luminaries such as gallerists, art writers and critics, artists, museum directors and curators, etc. and contains brilliant architectural design, full length biographies and a collection of artwork by the featured artist. Mia and Becky not only channel their energy towards producing books of an outstanding caliber but they also focus on accessibility. 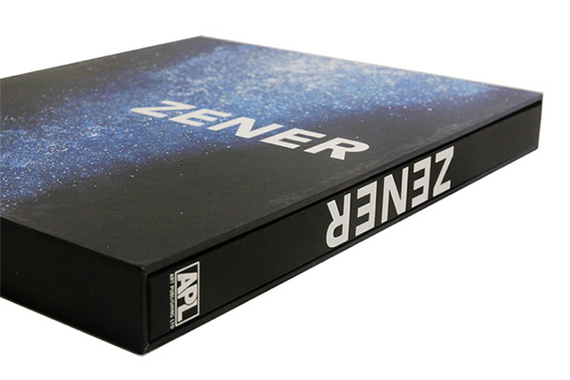 What I mean by this, and what might be my favorite aspect of this company, is that a selection of their deluxe artist editions are packaged with original artwork by the featured artist. Original. Artwork. Let me translate. 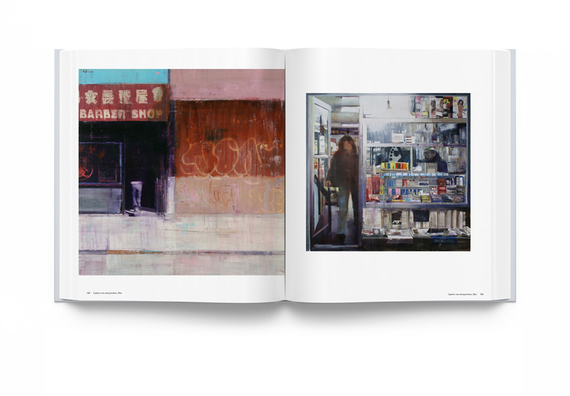 In May, when Vivant Books released an edition on Brett Amory, a piece of his original artwork became available with purchase. Not only does this company become a superlative option for artists, but they successfully expand the art collecting demographic. Featured artists of Vivant Books tend to be mid-to-late career and are sought through a combination of new digital social channels and age old publishing standards. This is a company that understands that in order to sell a product, there must be an audience. They admittedly say they don't want to reinvent the wheel; their core competency lies in producing beautiful, valuable books. In partners they seek artists, authors and editors that have developed an invested audience. Vivant Books is looking for amazing talent, married to business savvy- this is publishing 2.0.The Benenate women also enjoy publishing books on artists they personally follow and appreciate. In an interview I had with Mia Benenate, she commented on her method and reasoning behind choosing the artists. Specifically, she remarked on the choice of Brett Amory, the latest artist to be featured by Vivant Books. To do a book on his work wasn't just a decision based on sale potential, it also was based on where I thought he was at in his career trajectory as an artist, and the fact that I believe his work will make an impression in the history of art. All the artists we work with are saying something and we take our role recording that for posterity very seriously. 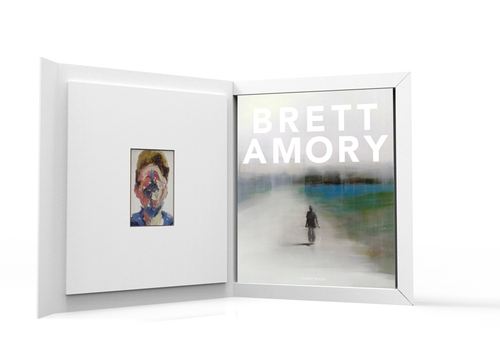 Amory has gained international acclaim for his haunting series Waiting. Waiting captures particular moments Amory has seen on his diurnal Oakland commutes. He brings to the forefront moments that otherwise elude us and draws our attention to what we might otherwise have missed. 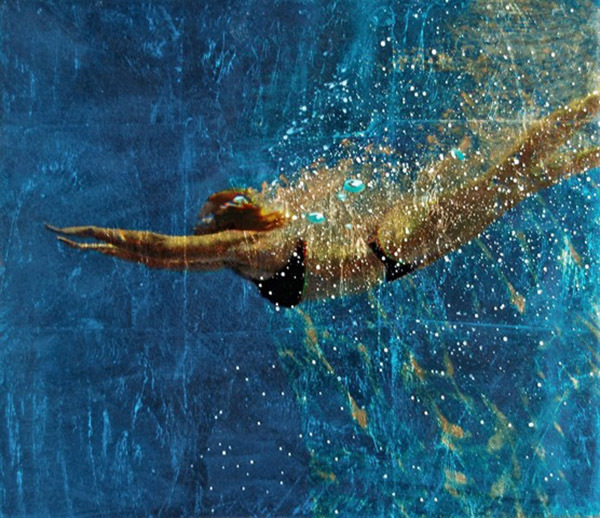 These moments are ones such as the instant before you do something and precisely when you finish. The background of his work seems familiar -- a muddled urban environment glazed with what I can only describe as a calm chaos. 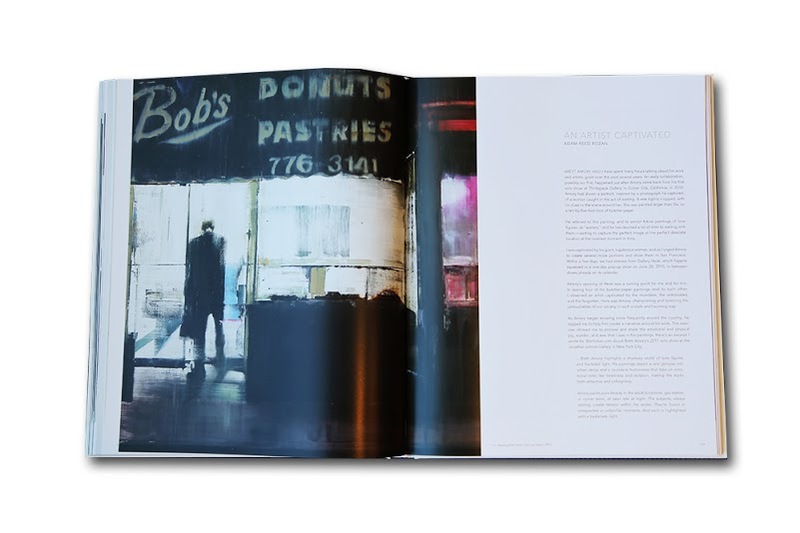 In an age with an intense focal point of digitalization, Vivant Books has successful seeped through the cracks to present us with fine art in a way that's elegant, inventive and refreshing. 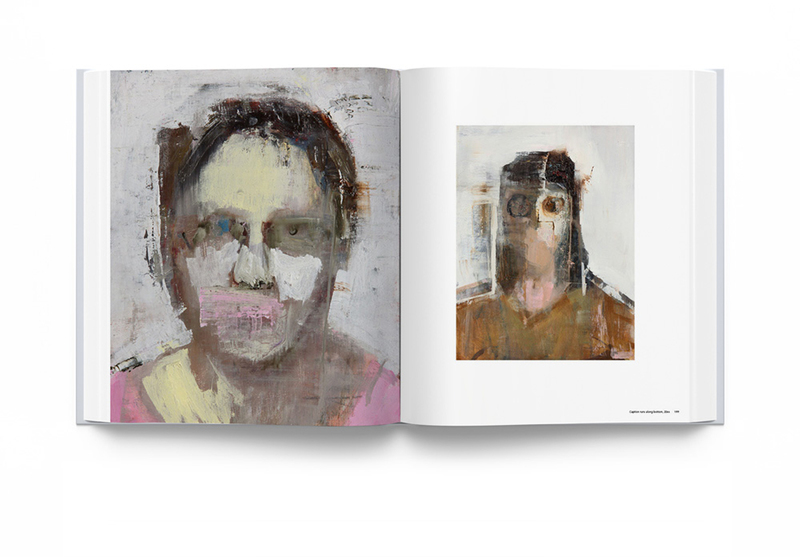 Upcoming Vivant Books will feature artists Gottfried Helnwein and Kimberly Brooks.